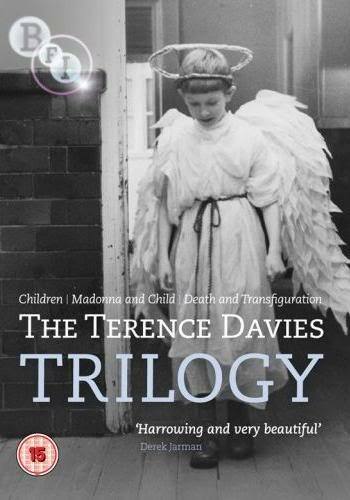 Davies’ film is divided into three segments enitled “Children”, “Madonna and Child”, and “Death and Transfiguartion”. The segments tell the life of Robert Tucker. The first segment looks at his birth and formative years in school, an austere boy’s school. The bleak environment is not aided by loveless, violent homelife he experiences. Nonetheless, his father’s death is a major impact to him. In the second segment, he is a closeted homosexual working in a grim office and still living at home with his daunting mother. In the final segment, he deals with his mother’s death and then faces his own impending doom. As his death approaches he flashes back to his life’s events. Many people hate their day job – if maybe not the people they work with. The worst part is, short of winning the lottery there’s no way out until you hit retirement age…and then (on average life expectancy) three quarters of your allotted span has gone. 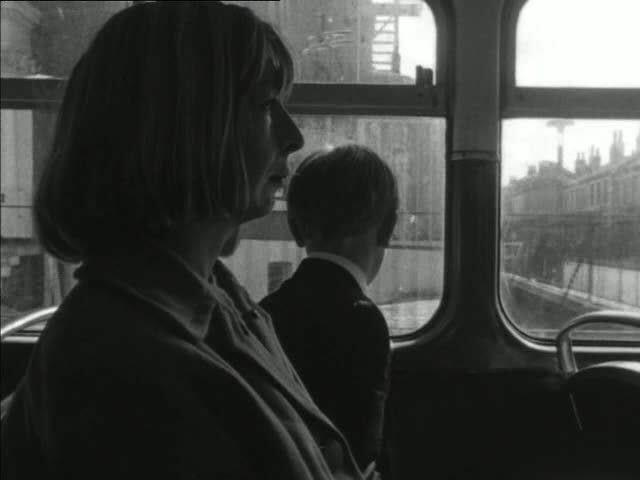 There must have been plenty of people like Terence Davies, immured as a shipping clerk by day, pouring what survived of his soul and sensibility into creative writing out of hours, with no guarantee that anyone else would see the results. However, Davies did get out, and became one of this country’s finest film directors. 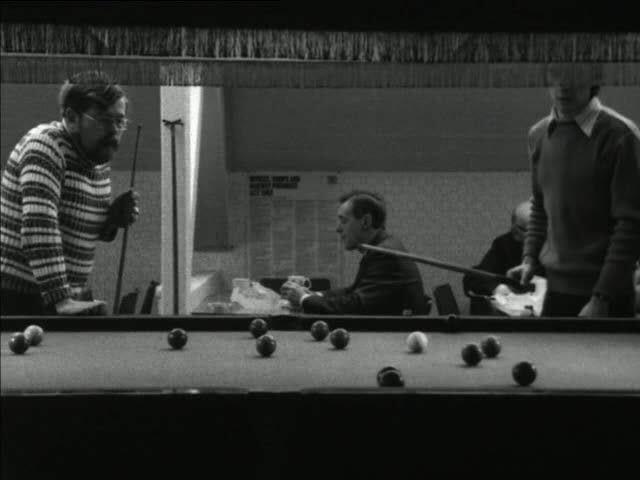 In his trilogy of short films, he depicted a man like himself, only one who didn’t get out. Davies worked that day job (and another as an accountant’s book-keeper) for twelve years, before enrolling at Coventry Drama School and becoming an actor. In the meantime he had written the script for Children, the first film of his trilogy. He had sent it everywhere and it had been universally rejected. After seeing an article on the BFI Production Board, he sent the script there…only to have a reply from Mamoun Hassan, the head of production and an offer to make the film for £8500…and Davies would direct. He had never directed before. Children (44:25) was made in 1976, shot in 16mm black and white. It came in under budget, despite resistance from its crew to this new – and by his own admission, technically very ignorant – director. One exception to this was his DP William Diver, who became a regular collaborator, either behind the camera or as editor. Children does has its rough spots – partly due to the budget, partly due to inexperience – and it is overlong. But what is striking is the assurance on display. 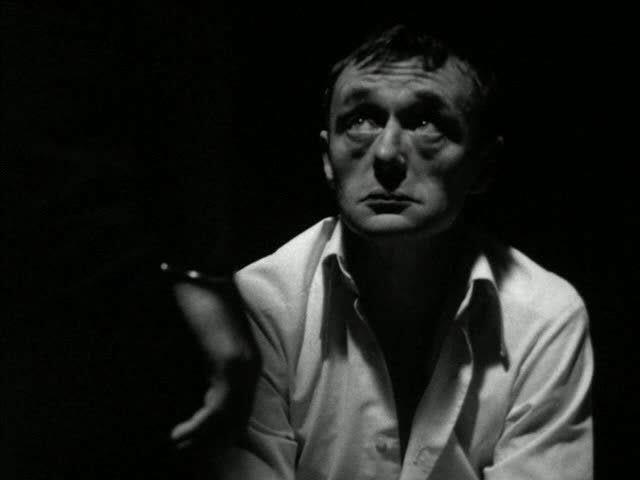 Davies wanted to make the film look like Vermeer in black and white, and with Diver’s help he succeeds, despite the limitations of 16mm: many shades of grey and textures in the blacks, much use of natural lighting, particularly from windows. After making Children, Davies enrolled at the National Film School (they’d rejected him first time round) and Madonna and Child (27:03) was made as his graduation film. Robert (Terry O’Sullivan) is now middle-aged and working as a shipping clerk. Davies’s style became more concise. Again, there’s little plot, more a series of character vignettes, held together by music more than narrative logic. 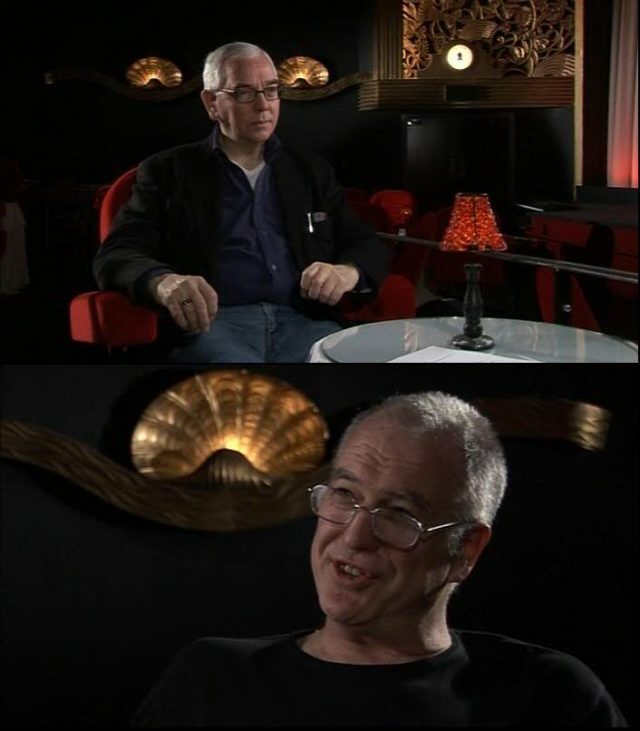 After leaving film school, Davies scraped together the money to make the third part of the trilogy, Death and Transfiguration (25:02), which he made in 1983. As he had been in the earlier two films, William Diver was the DP and for this film the editor as well. The film begins with Doris Day’s song “It All Depends on You” over shots of a funeral – Robert’s beloved mother. 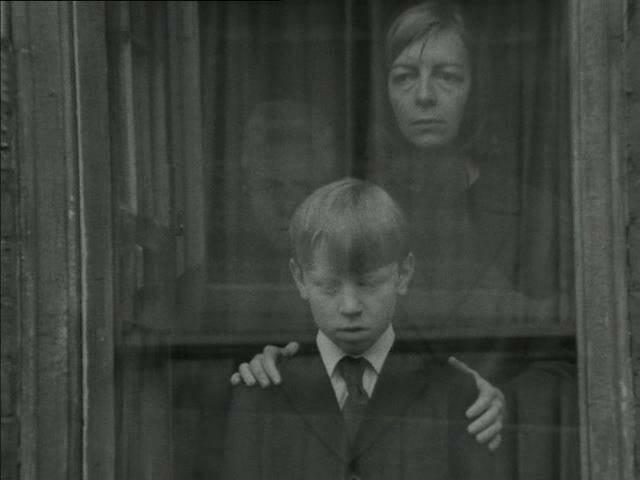 The rest of the film cuts between three timelines: Robert as a child (Iain Munro), memories of Robert (played again by Terry O’Sullivan) with his mother (Jeanne Doree), and sequences of Robert as an old man (Wilfrid Brambell). Davies has said that the Trilogy is highly autobiographical, and this is no exception: it’s a projection of an end he foresaw and feared for himself. In real life, Davies has an outlet in his creativity, and had the combination of luck and tenacity to pursue it. Robert has no such outlet and his is a lonely, circumscribed life. You can see this in O’Sullivan and Brambell’s faces. 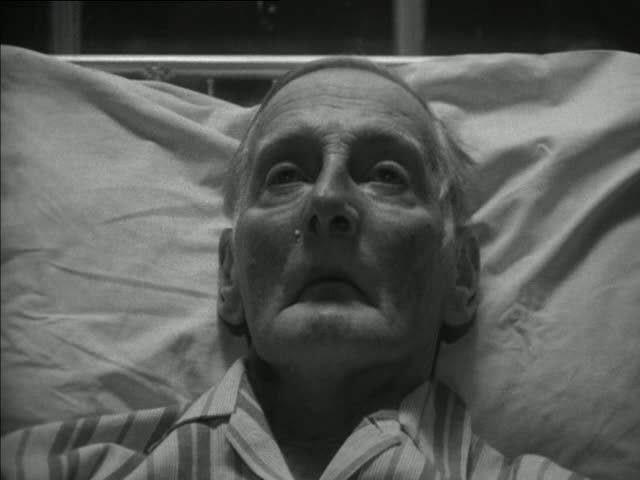 Brambell, in his last acting work (he died in 1985), is remarkable in a role with no dialogue. Davies provides a commentary audio track, leading us through the making of the films and pointing out particular autobiographical signposts. He’s quite open about the flaws, in particular certain shots in Children he now considers dull – though he thinks the film as a whole is “not bad for a first-timer”. By the time he reached Death and Transfiguration, he feels he had learned his craft. Also on the disc is an interview with Davies conducted by Geoff Andrew (15:34). This took place at the Rex Cinema, Berkhamsted, as was its counterpart on the Distant Voices Still Lives disc – probably the same session. As before, Davies is an engaging speaker and Andrew’s questions are intelligent, even if much of this duplicates information in the commentary.